Everybody deserves to feel confident and happy to show off their sparkling white teeth. During your first visit with us, we offer patients with a complimentary free teeth whitening session. Teeth whitening is a cosmetic dental procedure that is performed by a professional dentist to help you regain the color of your natural teeth. This offer can't be combined with any other active offer. Dr. Ida Alfonso, a well –loved dentist in her beautiful city of Carlsbad, Ca. She is passionate about enhancing the smile of her patients. She believes that a smile can make a difference. Her understanding of various dental needs, allows her to be compassionate and empathetic to her patients. Her dedication and commitment to highest standard of dentistry motivates her to reach the best possible outcome in all her procedures. Her clinical practice focuses on restorative, cosmetic, orthodontics and family dental procedures. 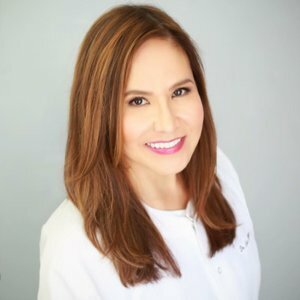 She has been trained by dental experts from UCLA, Esthetic Professional and belongs to American Dental Association, California Dental Association, San Diego Dental Association and an Officer to San Diego Filipino Dental Association. Her love for continuing education assures that her procedures only follow the latest dental techniques with the most updated technology available.